As a business founded by two passionate female retailers, we have long supported the work that everywoman does to showcase and celebrate retailing talent and the contribution women are making to the retail industry. That’s why this year we have been proud to support this year’s everywoman in Retail Awards which were held at The Savoy on 13th September. The awards seek to identify the dynamic female talent working at the top of the retail industry and showcase the broad range of career opportunities that retail can offer women, beyond the shop floor. These awards are vital in presenting the industry as one that welcomes, values and rewards talented women, and present it as an industry sector where women can fulfil their career aspirations. 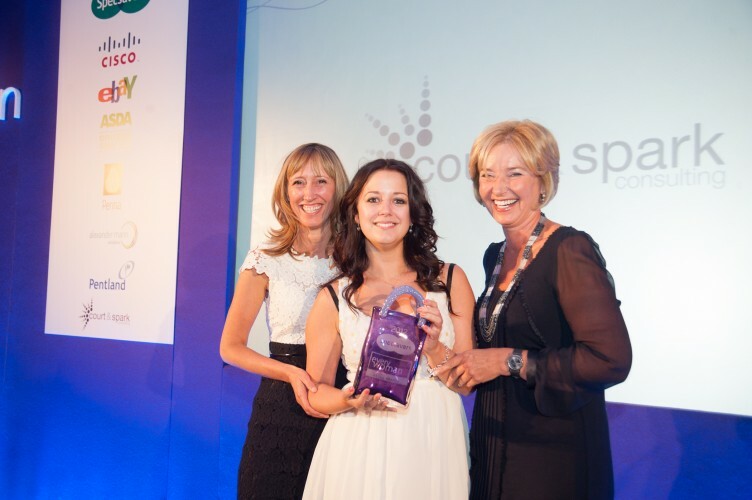 This year court & spark helped shine the spotlight on young female retailers by sponsoring the Star of the Future Award. So naturally we’re really pleased to support this year’s Star of the Future Award which is presented to a woman aged under 30, who the judges felt has shown energy, ambition and generosity of spirit to represent the positive future of the retail industry. Commenting on court & spark’s sponsorship of the event, Claire Beasley said: “Although court & spark is regularly helping to place women within senior retailing roles, the industry in general suffers from a shortage of women reaching the senior echelons of retail. So we believe the everywoman in Retail Awards is an important opportunity to showcase top retailing talent and celebrate the achievements being made by women in our industry. We’re proud to play our part in supporting the event and congratulate all female retailers who were shortlisted for awards and of course pay tribute to the award winners, including Asda’s COO Judith McKenna and Alyssa Smith in the Star of the Future Award which we were proud to present. Click through to the everywoman in retail awards page to see all finalists and winners.